There will be plenty of sunshine with a cooler night ahead, with lows at night in the upper 50s. 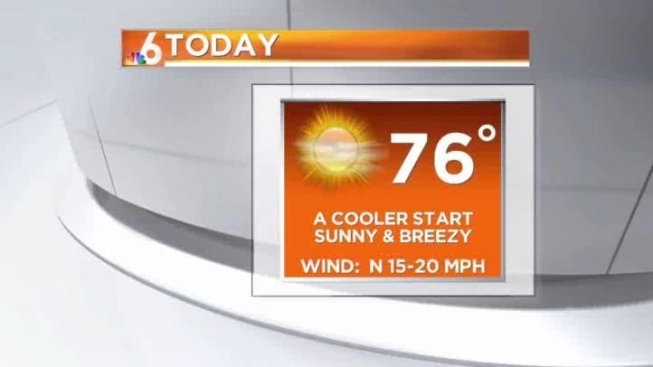 Thursday starts off cool with temps in the mid 60s but will warm up to the 70s later in the day. South Florida will be warming quickly through the weekend, with highs back in the mid 80s by Saturday and Sunday. There’s a slight chance of a few afternoon storms this weekend as well.